Year after year, one district of 39 students in West Texas outperforms the rest of the state in academics. Almost half of the students who attend Valentine ISD transferred in from nearby districts. It’s early yet in the 2019 state legislative session, but lawmakers have already named school finance reform as a top priority at the Texas Capitol this go-round. Cities and suburbs can dominate the conversation when it comes to policymaking, but this story brings us to a tiny West Texas town — population 130. There’s no gas station, and you have to drive 30 miles to find a grocery store, but there is a school. And somehow, year after year, it outperforms the state in academics. 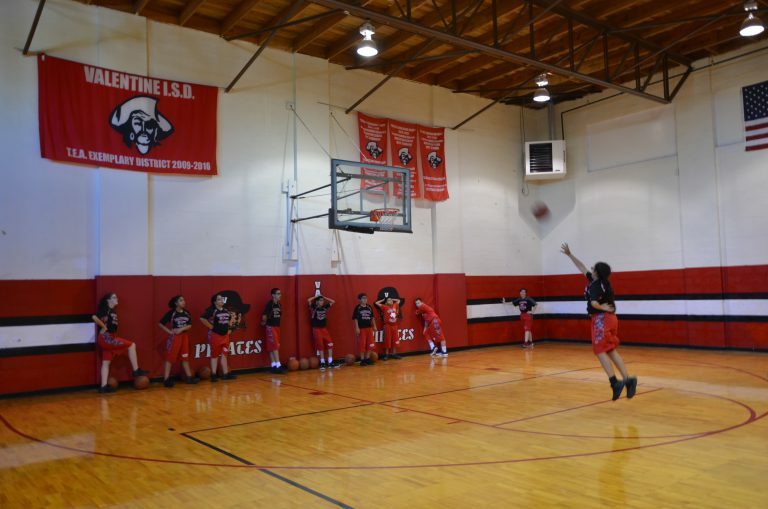 Junior high gym class is a good place to start if you want to understand why the students at Valentine ISD earn high marks every year. A group of kids huddle up at the edge of the basketball court, watching a classmate gear up to take a free throw. The stakes are higher than normal — if she misses, everyone has to run sprints. “If you don’t make it, we’re not friends anymore!” one student yells. 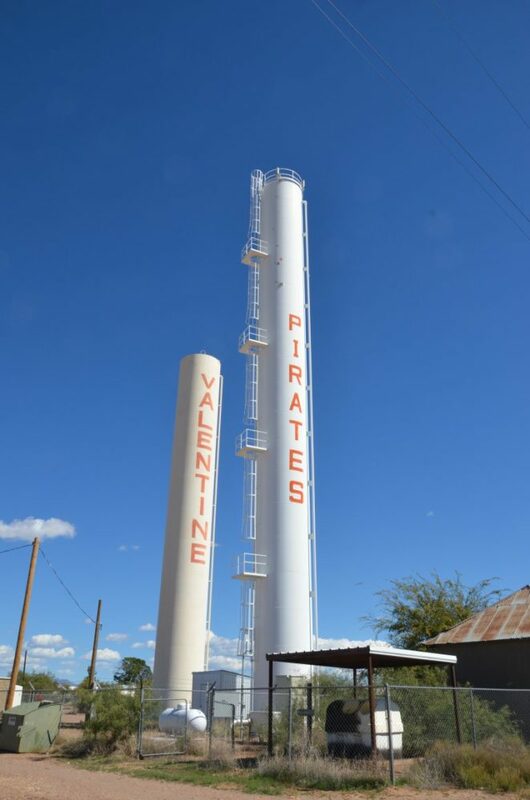 Students in Valentine spend all of their time together. It’s the first secret ingredient making the school so successful: everyone gets along, because they have to. History teacher and coach Rebekah Oñate is thankful for that, because it means she doesn’t have to spend time policing classroom behavior. She can just focus on the job. 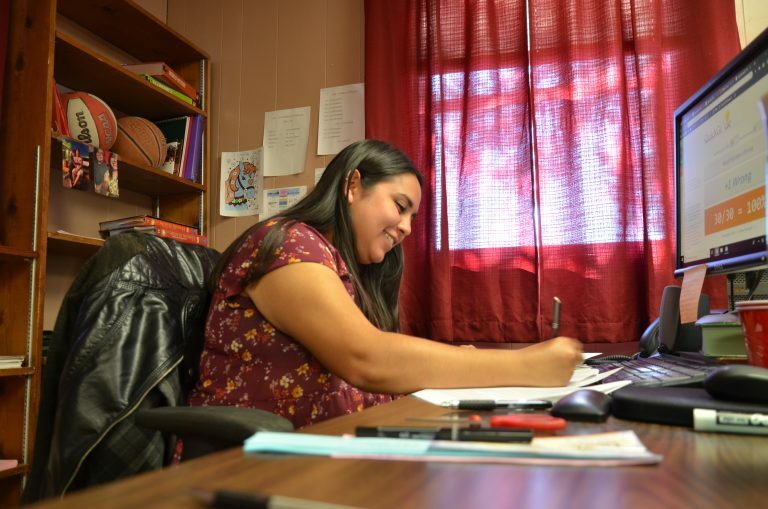 Rebekah Oñate is the youngest teacher at Valentine ISD. Most of her colleagues are old enough to retire. Oñate’s the youngest teacher at Valentine ISD, fresh out of college in El Paso, where she studied criminal justice and political science. She says Valentine is a great place to learn the ins and outs of teaching, but she’s still adjusting to small town life. “I miss the constant hum of traffic, or lights…stuff like that. I don’t like to leave the house at night. It is extremely dark and I am a scaredy cat,” she says. Valentine is really isolated. There’s no gas station, no stores. The school’s the heartbeat of the community. To get a Coke in town, you go to the vending machine in the schoolyard. But being in the middle of nowhere actually works to the school’s advantage in some ways. Currently, Valentine ISD has 39 students, and 10 teachers. That can mean teachers are responsible for curricula across many grade levels, but Superintendent Debbie Engle says the high student-teacher ratio is another reason the students do so well at school. Especially when it comes to state tests. The flipside is, if just a couple of kids do poorly on their STAAR tests, the district’s scores will come down. If the school falls out of the Texas Education Agency’s good graces, Engle worries they would be a prime target for consolidation with a neighboring district. 39 students attend Valentine ISD, from 1st through 12th grade. The district has no juniors or kindergarteners. But for now, the kids are doing well. The district earned the equivalent of an A in the TEA’s new A-F grading system in 2018, among 39 other single-district campuses in Texas. “I’ve had people say that Valentine is the best private education public funds can buy,” says Engle. Almost half of Valentine ISD’s students actually transferred in from nearby districts, where Engle says they weren’t getting along with the other kids, or weren’t getting close enough instruction. Valentine native Angelica Urias moved back to town recently from Pecos, in part so her daughter could attend the school. That’s the third thing Valentine has going for it. With the exception of Coach Oñate, the school has a veteran teaching staff. Even if they haven’t been in Valentine the whole time, most of the teachers have decades of experience. Second and third graders in Irma Porras’s class at Valentine ISD cap a Friday afternoon watching Charlotte’s Web. 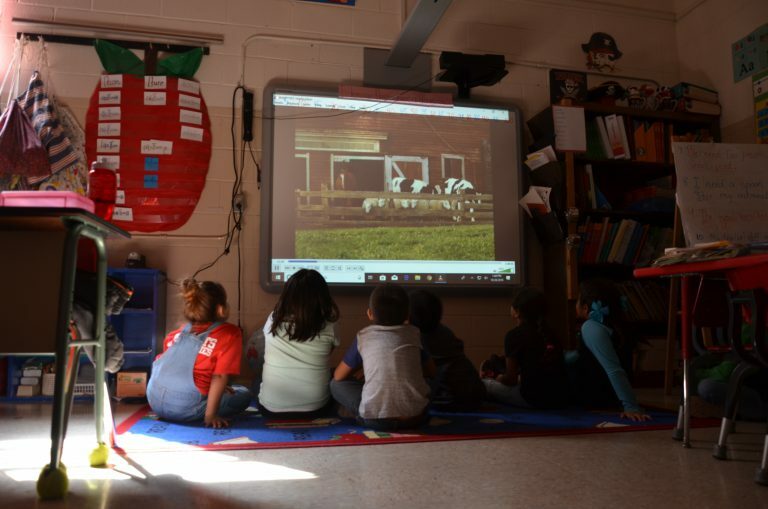 While her first and second graders watch Charlotte’s Web, she discloses that she’ll be retiring at the end of the year. She’s getting older, and she wants to spend more time with family in El Paso. “For better or for worse, we can all be replaced. I’m not irreplaceable,” she says, laughing. But Porras may be more valuable than she realizes. According to Superintendent Engle, 80% of Valentine ISD’s teachers are old enough to retire. She says a handful of them are what she calls “retire re-hires,” former educators who come out of retirement to teach again. Engle worries about future recruitment. Valentine can’t pay as well as surrounding districts, and it takes a certain kind of person to live in the middle of nowhere. But so far, she says, she’s been lucky.